The angle of the video clearly shows that Panditji’s left shoulder is doing a lot of the work when playing the bayan. This is an important point. 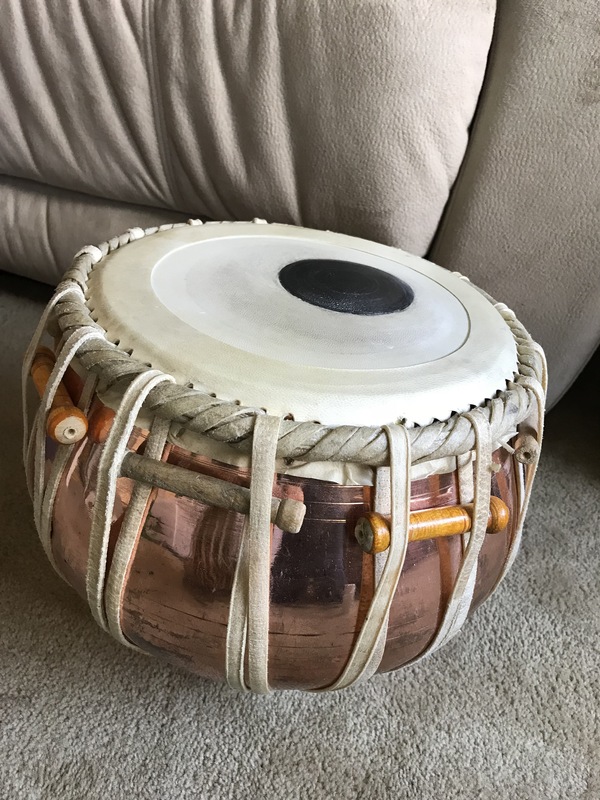 Many beginners struggle to get good volume and tone out of their bayan. 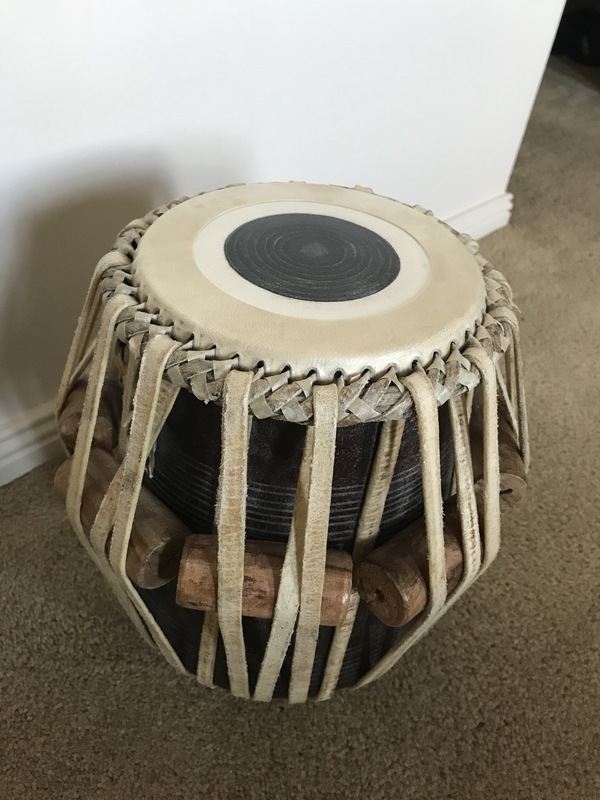 One of the reasons for this is the incorrect assumption that tabla is played with fingers and hands alone – this is not true. Fingers and hands alone do not have much strength and power. 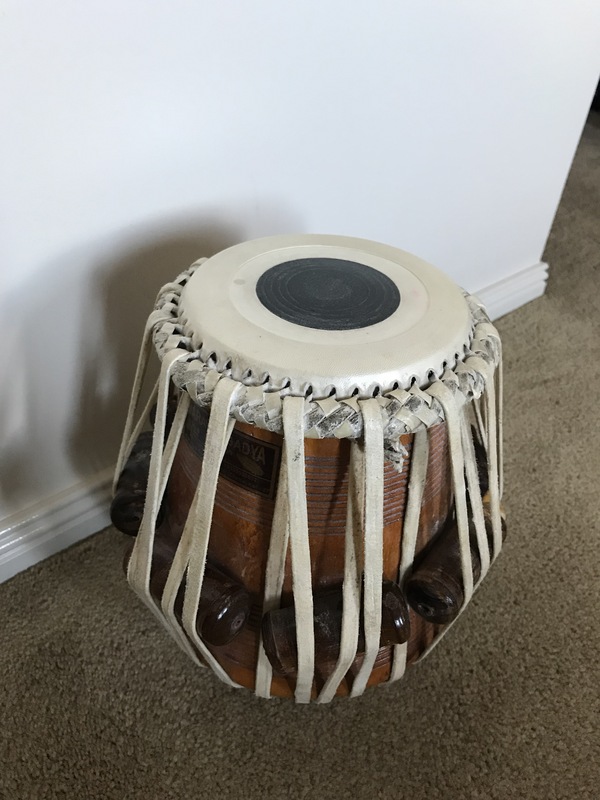 For good tabla playing the ideal technique is to use the muscles of the back and shoulders to generate most of the power, which is transmitted by the fingers and hands to the drum. If one watches and observes Panditji’s movements closely one can see his shoulders (and ultimately the muscles of the upper and lower back) are generating most of the force and power. By contrast, the fingers and hands are relatively relaxed. One can also note the overall solidity and steadiness of his seated posture. There is very little extraneous movement when he plays – only the arms and shoulders are moving. 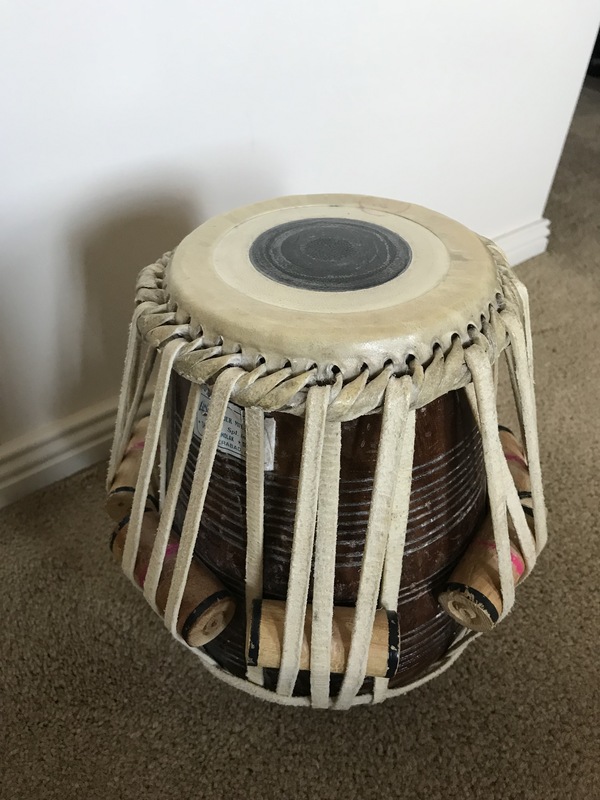 This is another core principle of good tabla playing – efficiency. Making the minimum movements required to play the strokes, while generating maximum power by use of the shoulders and back. 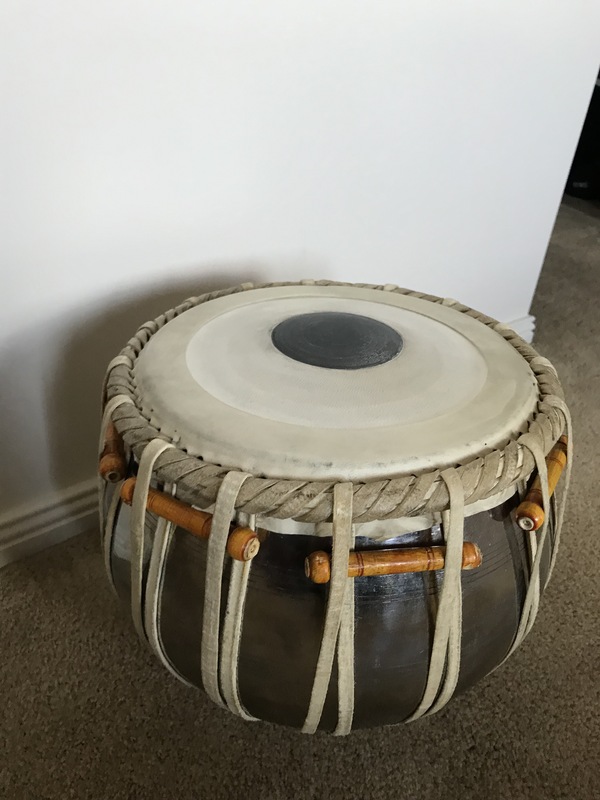 Learning how to perform these basic maintenance tasks is essential for any tabla player. 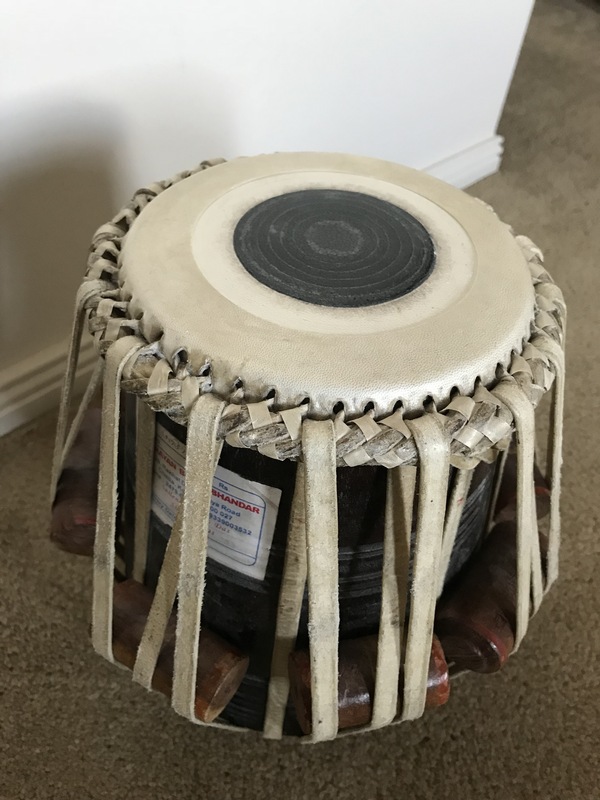 Pandit Sankha Chatterjee is a very senior tabla player, currently in his 80s, who had the distinction of being the disciple of both Ustad Karamatullah Khan and Ustad Masit Khan of the Farrukabad gharana, as well as Ustad Alla Rakha of Punjab gharana. 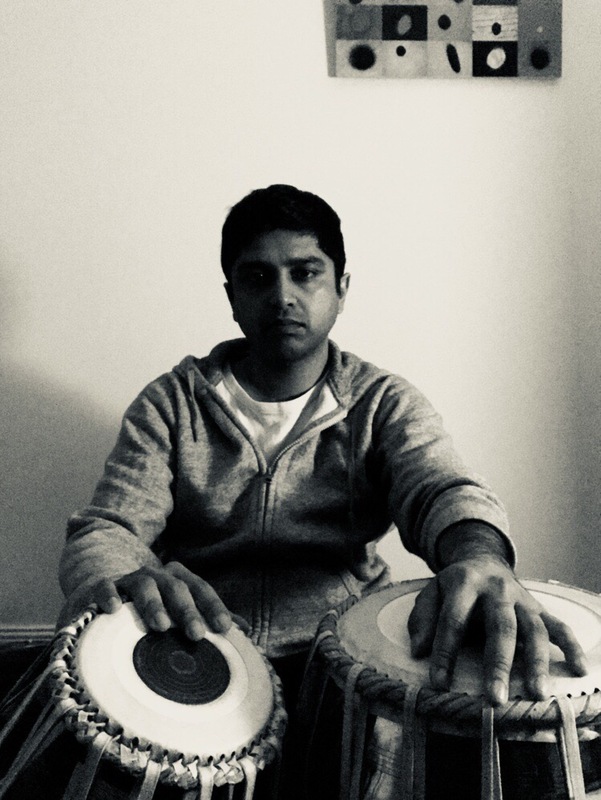 He has a very engaging and humorous style and discusses a range of topics from the traditional way of teaching tabla, the differences between gharanas, tips for good tabla accompaniment and many others. 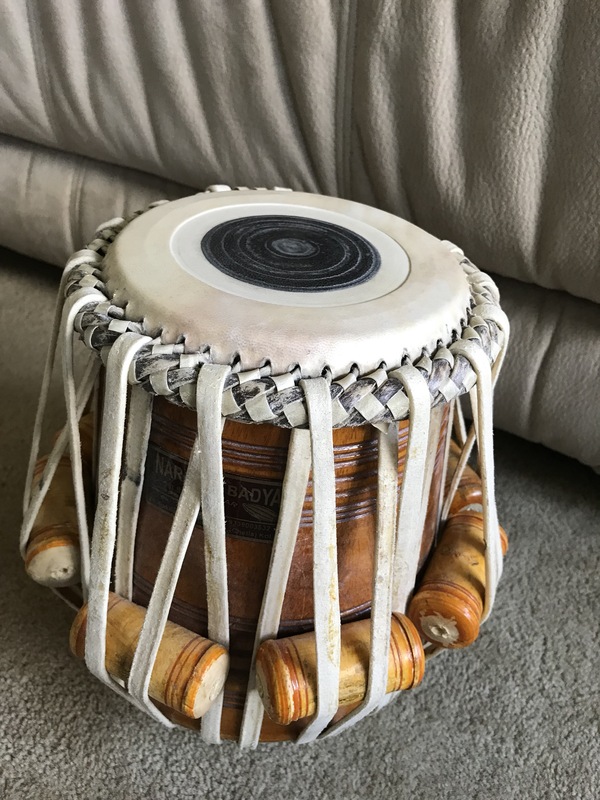 Veteran tabla player David Courtney describes the proper sitting position and basic hand position on both the right and left hand drums. He also makes a very interesting observation about an “x” shape created on the right hand drum by our hand position.